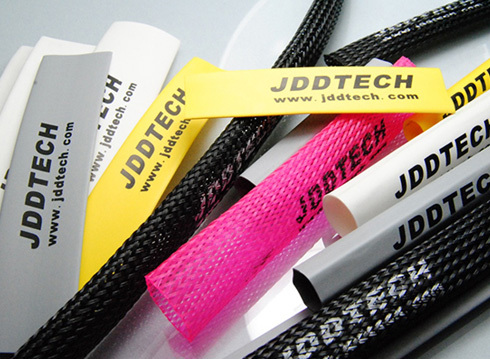 In order to satisfy every customer need for our products, Jdd Tech provides a number of other services, including cutting, special packaging, printing and more. Whether it be one inch or one hundred feet, our skilled operator and accurate cutting machine will not let you disappoint. 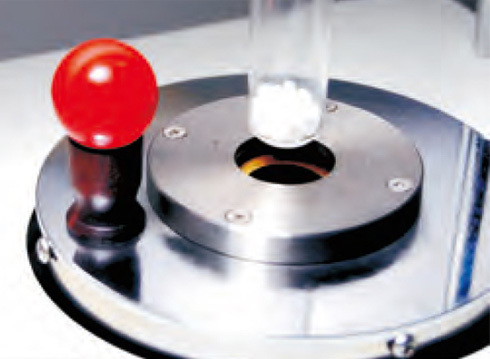 Round shape is one of our main additional services. Customers ask at times for round shape in order to install it on cables or wires easily. 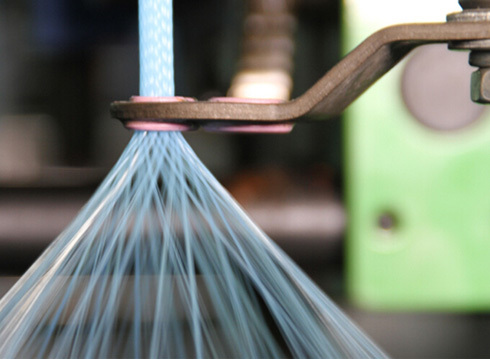 Because braided sleevings are flat, when it is produced, especially for large sizes, we have a special machine that utilizes advanced technology to make it round easily and quickly, while still retaining all of its original qualities. Splices are sometimes unavoidable during the braiding process. Generally, no more than one or two splices will be on any supplies spool. However, if there are extreme requirements, a splice free spool can be offered at a small extra charge. 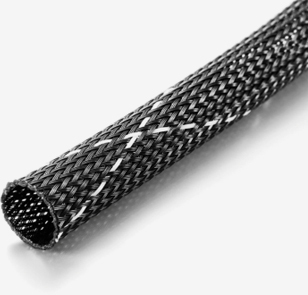 The construction of the sleeving can be woven to different specifications to meet different application needs. We have two models: the one of the right has one braided with 3 strands of yarn, and the other is braided with a single strand of yarn. No matter which you choose, the appearance will be totally different. To save our customers labor costs, we offer braiding service for some high grade cables, including HDMI cables and A/V cables. Generally, we provide a pattern book for customers to choose from, though special patterns are available upon request. 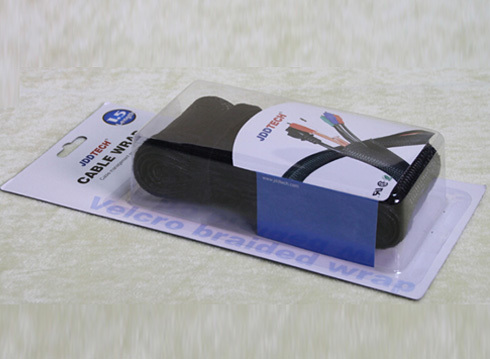 Use the Jdd special box with a hole in the middle, which can hold up to 100 meters of the small diameter sleeving, or 50 meters of the large diameter sleeving. 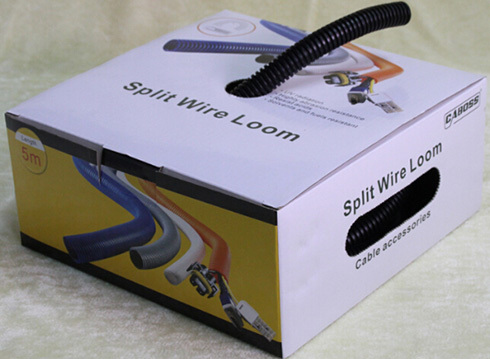 Users can pull the sleeving out of the box easily when installing it on cable harnesses. This packing is great for retail and installation. 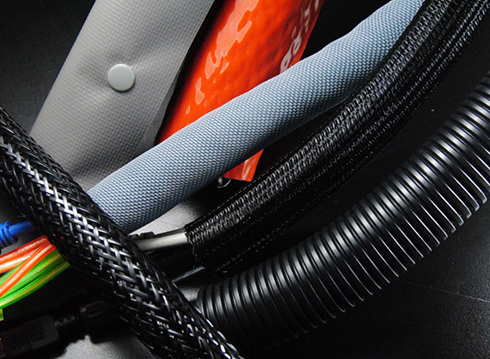 When we stock the sleeving in the warehouse for long periods of time, especially colorful sleeving, dust accumulates. 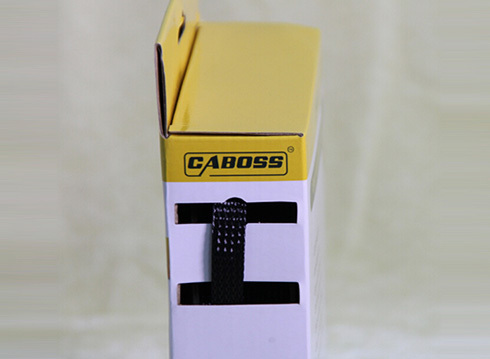 By placing the cable wraps in a small box, we can prevent dust build up. The box is aesthetically pleasing, and has just two holes. The sleeves can be pulled from the box through the hole without opening the box, due to the smaller spool. White cardboard spools are our usual packaging, be we can also make customized packaging upon customer requests, including packing in bubble wrap.